boys ages 2 and 3 were attacked as they played in their back yard. 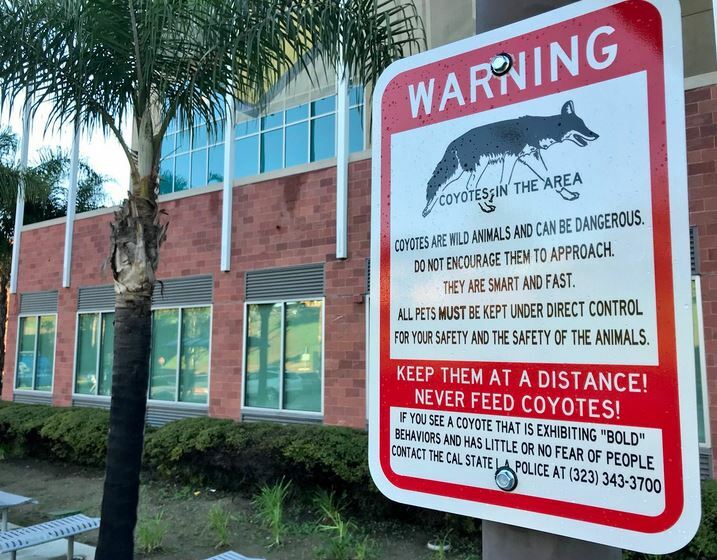 Professional trappers have been called in to catch a coyote that bit a 5-year-old boy and then aggressively approached a student at the Cal State L.A. campus Wednesday night. The boy was walking with his father on campus about 6:30 p.m. when the incident took place, said Lt. J.C. Healy with the California Department of Fish and Wildlife. “He bit me!” the boy cried out to his father, Healy said. The father chased away the coyote and took his son to get medical attention. The boy suffered a single puncture wound in the leg. 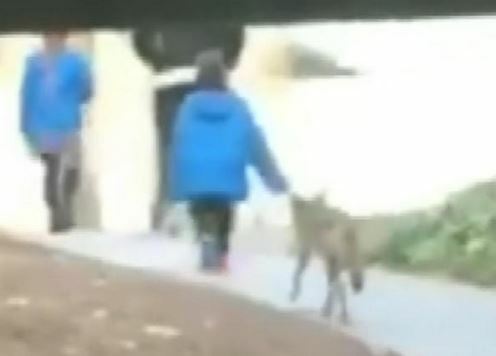 A cellphone video posted to Twitter showed the coyote running after the boy along a paved path. About an hour after the incident, a coyote aggressively approached a student on campus. The woman called for help, and when police responded, they saw several coyotes in the area. 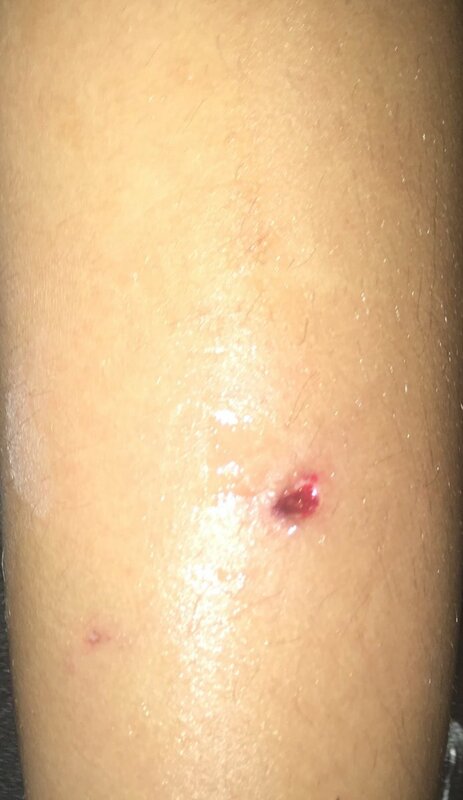 This was posted by the boy’s father, its his 5 year old son’s leg. On Wednesday night, a 5-year-old boy was walking with his father on the campus of Cal State Los Angeles when a coyote came up from behind and bit him on the leg. The boy went to the hospital and likely received a rabies shot. But what happened to the coyote? 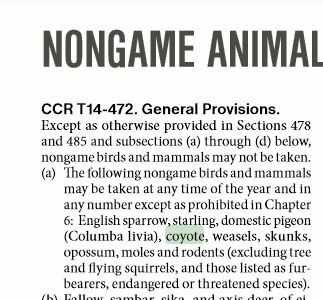 In California, coyotes have the same legal status as pigeons and rats. They’re considered “non-game animals,” which means anyone can kill as many of them as they want, at any time of year. There are some restrictions: it’s illegal to poison them or capture them with a leg-hold trap. What happened next at Cal State LA on Wednesday night was perfectly legal: according to the California Department of Fish and Wildlife, a university police officer fired his rifle at the coyote, after it was seen stalking a woman shortly after biting the boy. But the coyote got away. Now, the search for the offending coyote has intensified. DFW officers took the pants of the boy who was bitten to a lab to attempt to get a DNA sample. Thursday night, after dark, they plan to set up traps all over the Cal State LA campus. Working with Wildlife Services, a federal agency whose mandate is to “resolve wildlife conflicts to allow people and wildlife to coexist,” they’ll use animal calls to lure coyotes in. Because they’re so difficult to trap, officials often end up shooting them instead. It’s not something DFW Lt. J.C. Healy particularly enjoys. After each coyote they kill, DFW officers and trappers take a saliva or tissue sample and look for a genetic match to the sample from the pants of the boy who was bitten. People vehemently disagree about whether this is the best approach to deal with aggressive coyotes. In an interview with KPCC last April, Niamh Quinn, who studies coyote-human interaction at the University of California Cooperative Extension in Orange County, said killing coyotes does not reduce their overall number, because it creates a vacuum that other coyotes move in to fill. Rather, she said, the aim is to eliminate problem coyotes, and hope that whatever coyotes move in to an area next won’t be as aggressive. Lisa Lange, senior vice president for communications at People for the Ethical Treatment of Animals (PETA), said the long-term solution is to prevent conflicts in the first place. She said people can eliminate the reasons why coyotes are hanging around populated areas in the first place: open garbage cans, food that is left out or even intentional feeding. “We need to start ticketing people when they leave food out for wildlife. We need to fine people when they have a picnic and leave their trash out,” she told KPCC last May. 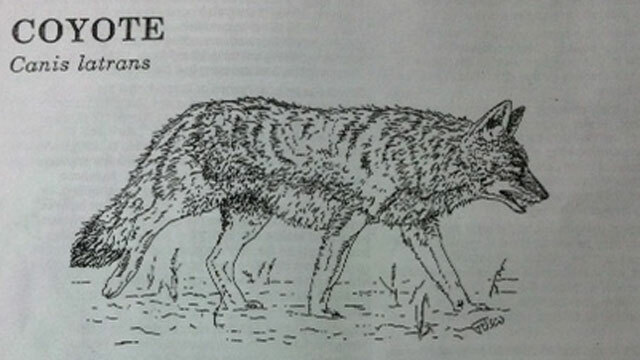 It’s hard to tell whether human coyote conflicts are getting worse. Many people feel that they are, thanks to posts on Nextdoor or Facebook, but data is lacking because there’s no single agency that tracks coyote attacks. California Department of Fish and Wildlife only keeps track of when the agency is called in to kill aggressive animals. And Los Angeles County Department of Public Health has a database of the number of county residents who received rabies shots for coyote bites. In 2012, three people got shots. That number jumped to 16 in 2016, but fell to 5 in 2017. But anecdotally, public health experts say coyotes appear to be getting more aggressive. “The way they’re interacting with people is just not the way we used to see things occurring,” Karen Ehnert, the chief veterinarian for county public health, told KPCC in May 2016. She said before, it seemed like coyote attacks on people happened when a coyote was going after a pet, and the person intervened to try to save the pet. So, what to do if you are stalked by a coyote, or one is eyeing your dog on a walk? Experts say to try to frighten it away: get big, make a lot of noise, and throw rocks at it. Do this even if it isn’t stalking you, because this helps reinstall a fear of humans in coyotes that may have lost it. If it attacks you – which is very rare – don’t be afraid to fight back. This story has been updated to clarify who California Department of Fish and Wildlife is working with to trap and kill coyotes. 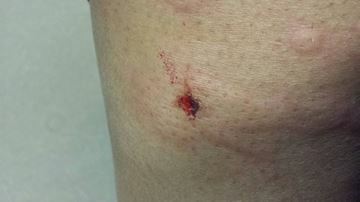 BRAMPTON – A Brampton woman is undergoing rabies treatment after reporting that she had been bitten by a coyote in front of her home on Mountain Ridge Rd. on Thursday night. Jasmin Bajaj and her family had just arrived home at around 9 p.m. when she realized that she forgot something in her car. When she went back out to the driveway, she said a large coyote snuck up behind her and bit her in the leg, leaving two large puncture wounds on her calf. “I don’t know where it came from. I felt something grab hold of my leg and it was really hurting me. When I turned around I saw a big coyote standing right in front of me,” said Bajaj. With no one else around and only a set of keys in hand, she began shaking the keys at the animal which made it back off, but not retreat. Bajaj then says that she slowly backed up towards the safety of her front door while the animal continued follow and stare at her until she got into the house, which is located in the area of located Steeles Ave.and Mississauga Rd. Residents say that this isn’t the first time that people have had close encounters with coyotes that are believed to live in a nearby ravine. Perminder Dhuck, whose house backs onto the ravine, claims to have heard reports in the neighbourhood of an elderly woman being attacked in a similar manner in the summer. Dhuck said that he was warned when he bought the house that because of the proximity to the ravine, that he and other residents should expect encounters with wildlife. Bajaj is still undergoing painful rabies treatments as a precautionary measure which include a series of shots. 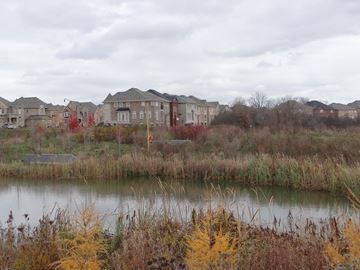 She says that neighbours have been concerned about the coyotes for some time and are passing around a petition, demanding the City of Mississauga take action. 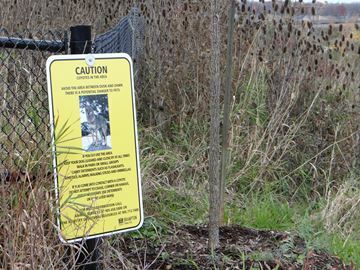 Meanwhile, the City has posted signs in the area warning residents to avoid the ravine at dawn and dusk and have also placed traps to capture the offending animal. When people report they were chased or stalked by coyotes, I think that most people dont realize what that is like. This video, it really shows what this is like. It happened in Burbank. A 35-year-old Clinton resident said he needed 14 stitches in his face after what appeared to be a coyote attacked him unprovoked Tuesday night, biting him in the face. Police said the animal, believed to be a wild coyote or large dog of some sort, went after the man while he was walking down Liberty Street around 9 p.m. Tuesday. 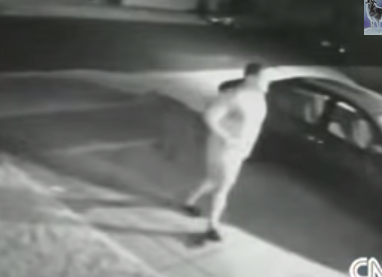 The victim said he was going to let his landlord’s dogs out when he was attacked. The state Department of Energy and Environmental Protection sent investigators to the area in search of the animal, but they turned up empty handed. Police said the resident did not approach or otherwise engage the animal prior to the attack. According to DEEP officials, unprovoked coyote attacks are rare but not unheard of. “In the middle of the evening, you’ll hear coyotes howling some nights,” explained Bruce Farmer, who lives in the area. The victim was treated and released from Yale-New Haven Hospital, where he received 14 stitches in the left side of his nose. He said he’ll go back next week to have the stitches removed and fight out if he’ll need plastic surgery. He received treatment for rabies as a precaution, according to police. Although the animal hasn’t been officially identified, the victim said he’s all but certain it was a coyote and knows they live in the area. Police said coyote sightings are frequent in the area. Residents who encounter wildlife are reminded to keep their distance and report unusual encounters to local animal control officers. “Use common sense and exercise caution,” Dunn said. Residents called the incident unnerving but said they won’t live in fear of another attack. “You can’t stop what you normally do, because otherwise you become a prisoner,” said Farmer’s wife, Barbara. A woman and her daughter said a coyote chased them and their dogs for a quarter mile on a Crystal Cove State Park trail early Tuesday evening. The incident occurred about 6 p.m., when Lisa and her daughter, Maddy, 18, decided to go for a run with their two dogs. They started running at the beginning of a trail near Pelican Point Drive, each with a dog on a 5-foot-long leash. Lisa said she ran with her dog, Bode, toward her daughter. Meanwhile, she said, Maddy said she was running with her 22-pound dog, Chloe, when the dog suddenly stopped, then pulled away from Maddy’s grasp. According to Lisa, a coyote that looked like a big German shepherd was in the path and appeared to be about to pounce on the dog. Maddy lunged to grab the leash, scraping her knees, coming within a foot or two of the coyote. Then she and the dog turned and ran. Lisa said she ran toward them and maneuvered herself and her larger dog between the coyote and her daughter, but the coyote continued toward them. She told her daughter to pick up the smaller dog and run. Then she began backing slowly away, up the trail for about a quarter mile, with the coyote following her a few feet away. “I wasn’t turning my back on it,” she said. When she reached East Coast Highway, she said, the coyote finally turned and left them alone. It was close to dusk but still light outside, Lisa said. Coyotes tend to show themselves at that time of day, said Valerie Schomburg, a Newport Beach Police Department Animal Control officer. Online police logs show a report of a “vicious animal loose” at East Coats Highway and Los Trancos about 6:39 p.m. Lisa and Maddy drove home but did not immediately report the coyote to police, and details were not available about the later animal sighting. Lisa said her daughter showed incredible bravery. A Crystal Cove State Park superintendent did not immediately return a call seeking comment for this story.